I want that band on that cube! I absolutely love going to concerts! Not only seeing my favourite act perform up on stage, but the atmosphere is electric! The only downside is that it usually lasts only for an hour and a half 😦 which is why I always, always, always buy some sort of merchandise, usually the concert programme, which in most cases is totally worth it, especially the two Destiny’s Child concerts I went to! But I do notice that every concert or gig has the same old merchandise. I mean really, how many t-shirts can you actually have that says ‘Westlife’ or ‘The Saturdays’ on it?? Do you want to see something different and interesting…? I definitely do. 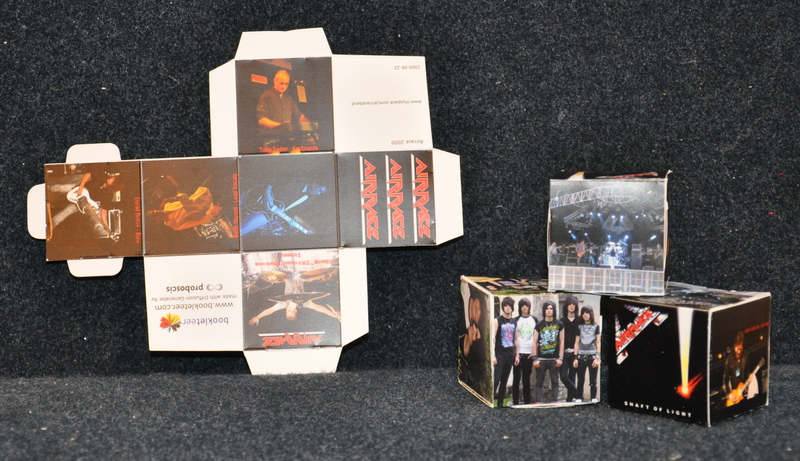 StoryCubes provide a totally different type of merchandise available at concerts or gigs. A merchandise cube has been created for a Cambridge based Rock band, as pictured below. Design your very own promotional cube with bookleteer and have them professionally printed and die-cut with out PPOD service.